If you’re traveling abroad and using your credit card for purchases, foreign transaction fees can quickly add up. A recent CompareCards.com study on foreign transaction fees found that nearly half of all credit cards assess a foreign transaction fee, at an average fee of 2.61% per transaction. Thankfully, there are an increasing number of cards on the market that charge no foreign transaction fees and come with additional travel benefits to boot. The thing to watch out for with no-foreign transaction fee cards is the annual fee. While there are some cards that give you the benefit of fee-free foreign transactions and charge no annual fee, we found that many cards that do not charge a foreign transaction fee make up for the lost revenue by charging an annual fee. For frequent travelers, the annual fee may be well worth the cost, especially if you’re using your card regularly for extended periods of time. For this round-up, we chose cards that, along with having no foreign transaction fees, had no annual fee, offered good rewards and came with other travel and purchase protection perks. 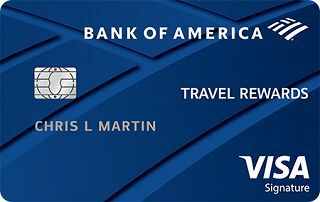 Check out our reviews of Bank of America® Travel Rewards credit card, Capital One® Quicksilver® Cash Rewards Credit Card and Capital One® VentureOne® Rewards Credit Card. Why we like it: This card is all about simplicity. First you get 25,000 online bonus points after you make at least $1,000 in purchases in the first 90 days of account opening - that can be a $250 statement credit toward travel purchases — that’s worth a $250 credit toward travel. Then you Earn 1.5 points per $1 spent on all purchases. The annual fee is $0. You earn points on all purchases, and there’s no expiration on the ones you earn. Use your points to book travel without being restricted to specific sites or dealing with blackout dates or restrictions. Redeem your points for a statement credit to pay for flights, hotels, vacation packages, cruises, rental cars or baggage fees. Earn an additional 10% customer points bonus on every purchase when you have an active Bank of America® checking or savings account. Bank of America® Preferred Rewards members get bonus points of between 25% and 75%, depending on their account status. You earn unlimited points, and they don’t expire. Things to watch out for: You’re not going to earn as many points per $1 spent on popular categories like travel, dining, groceries and gas. Excellent/Good credit is needed to get this card. It doesn’t come with any perks, except for a free FICO® score. Pay off the card before the intro purchase rate ends so you can avoid paying higher interest on the remaining balance. Why we like it: New cardmembers earn a One-time $150 cash bonus after you spend $500 on purchases within 3 months from account opening. That bonus is automatically applied to your rewards balance within two billing cycles. This card has a $0 annual fee. The card offers a flat 1.5% Cash Back on every purchase, every day. Your rewards don’t expire for the life of the account, and you can redeem your cash back for any amount. Get your cashback rewards in a statement credit or a check. You can also set up automatic redemption preferences, redeem for credits for past purchases, gift cards and more. It has a 0% intro on purchases for 15 months APR and a 0% intro on balance transfers for 15 months APR, which becomes a 16.24% - 26.24% (Variable) APR after the promotional period. You’ll pay a 3% balance transfer fee. You can add an authorized user to your card and keep track of that spending, all on one statement. Keep track of your account, pay your bill and view your balance and transactions with the Capital One mobile app. Monitor your credit for free with CreditWise® and use EnoSM, a text service that lets you check your balance, review recent transactions and pay your bill. Other card perks include 24-hour travel assistance help, auto rental collision damage waiver, travel accident insurance and extended warranty. Things to watch out for: You need Excellent/Good credit to get this card. Some may feel they can get a better sign-up bonus with other cards. 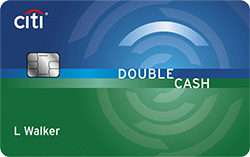 The cashback available on this card doesn’t reward those who spend regularly in categories like travel, dining, gas and groceries as well as other cards. And if you do an intro balance transfer, make sure you can pay off that balance before the term ends. Why we like it: The card has a One-time bonus of 20,000 miles once you spend $1,000 on purchases within 3 months of account opening, equal to $200 in travel. After you spend the required amount, the bonus will be applied to your rewards balance within two billing cycles. The card has a 0% intro on purchases for 12 months APR (after, 14.24% - 24.24% (Variable) APR). Earn 1.25 Miles per dollar on every purchase, every day. 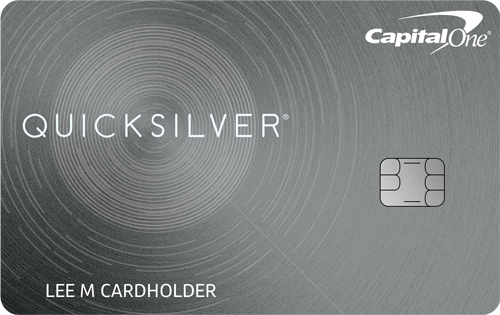 Like the Capital One® Quicksilver® Cash Rewards Credit Card, this card allows you to redeem your miles with the Purchase Eraser® feature as a credit, along with booking travel at capitalone.com or the card’s Rewards Center, for cash in the form of a check or account credit, gift cards and more. Your miles don’t expire and there’s no maximum of how many you can earn. If you use your card to book hotels at hotels.com/venture, you can earn 10 miles per $1 spent. 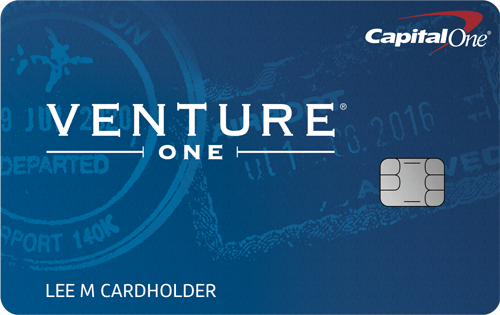 The Capital One® VentureOne® Rewards Credit Card comes with the same perks as the Capital One® Quicksilver® Cash Rewards Credit Card, including adding an authorized user, keeping track of your account with the mobile app, tracking your credit with CreditWise® and using EnoSM for banking tasks. You also have access to the same card perks, like travel assistance, auto rental collision damage waiver, travel accident insurance and extended warranty. Things to watch out for: There are other cards that have more robust sign-up bonuses to lure you in. 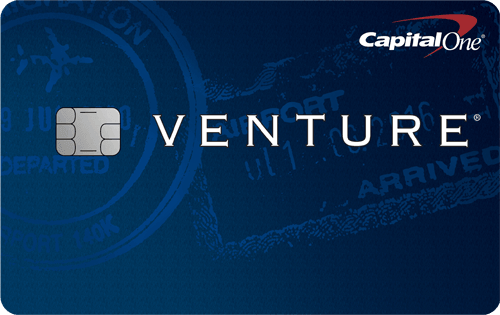 Plus, the rewards offered with the Capital One® VentureOne® Rewards Credit Card may be small compared to competing cars, especially since you don’t get higher rewards for travel, dining, gas and groceries. Make sure you have Excellent/Good credit to get this card. Pay off the card before the 0% intro on purchases for 12 months ends; otherwise you’ll end up paying the full 14.24% - 24.24% (Variable) APR. Now that you have our picks and why we like them, it’s time to narrow the list down and choose your card. But which one is best for you? What things are most important to you, and how do you balance it out? Sign-up bonus or welcome offer: All three cards also come with sign-up bonuses for new cardmembers. Make sure the spending required to get those points/miles are worth it. Flexibility: There’s no reason to have a card with cash back or rewards if there aren’t easy and flexible ways to spend them. You want a card that gives you multiple ways to use the rewards you earn — cash, gift cards, direct deposit, statement credit, merchandise or travel. You also want a card with points that don’t expire and without any limits on how many you can earn. Perks: You want a card that gives you perks beyond just not paying a foreign transaction fee — and the more, the better. Most cards come with basic travel and purchase protections, so ensure the one you choose has the ones you’re most likely to use. They include things like rental car insurance, a concierge, trip delay/cancellation reimbursement, baggage delay/loss insurance, roadside assistance, extended warranty protection and purchase protection.